After a person has been on long-term disability for a period of time, he or she may suddenly discover his or her benefits are being terminated. The reason for termination may be a lack of sufficient medical documentation or other reason offered by the insurance company. Commonly, a “change in definition” may be the reason for termination. In most policies, in order to meet the criteria for LTD benefits the insured person must be unable to do the work he or she performed at the time of the onset of disability. This is the “own occupation” test that applies to the first two years of benefits. To receive benefits after two years, the insured person must demonstrate that he or she is unable to perform any kind of work. This is the “any occupation” test. Termination of benefits can be appealed through a specific process. This normally involves reconsideration by another staff member at the insurance company. When that is unsuccessful, an insured person can take the company to court. At Clonfero Law Firm in Toronto, we stand by injured people for the long haul. 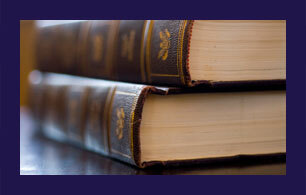 As a litigation law firm, we have the skill and tenacity to go to court. If it is best for our clients, we can also settle the claim so they are appropriately taken care of. To ensure your benefits are paid as long as you continue to be eligible for them, it is important to remain responsive to the insurance company’s requests for information. The duty of good faith owed by the insurer to the insured person means they must consider this information, even if aclaim has been denied and an appeal is ongoing. If you are not sure what your insurer can legitimately ask for, give us a call. We will help you understand what you need to do. Our lawyers in Toronto handle terminated long-term disability claims appeals for people experiencing all forms of injury or illness. We have a particular focus on “invisible” illnesses such as mood disorders, which are often misunderstood by insurance companies. To arrange a free initial consultation, call us at 416-703-2077 in Toronto or 1-416-703-2077 toll free in Ontario or send us an email.